the latest and best Website Resoure For U! <Hello Guest> Login Register Forgot Your Password ? 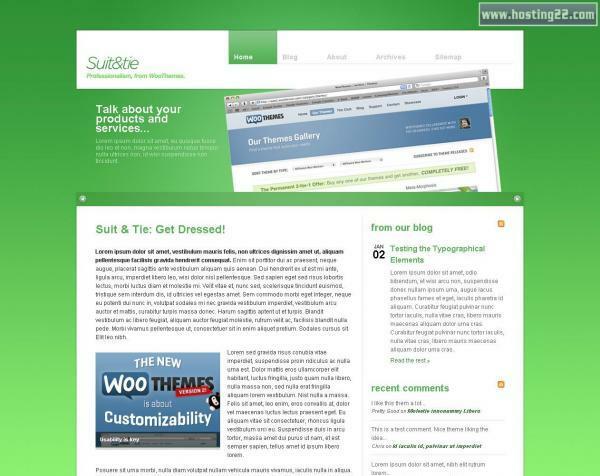 Demo: Demo the Wordpress theme by Woothemes! 13 great colour schemes to suit your site identity. Suit & Tie is a stylish business theme by top designer, Bryan Veloso. The clean & trendy style inherit in the design will definitely keep your business up-to-date with current online trends, whilst the attractive homepage slider will be woo-ing most of your customers. Top that off with 13 diverse colour schemes and you’ve got your next business website design right here. * Spam is ON , comment need to be valided. 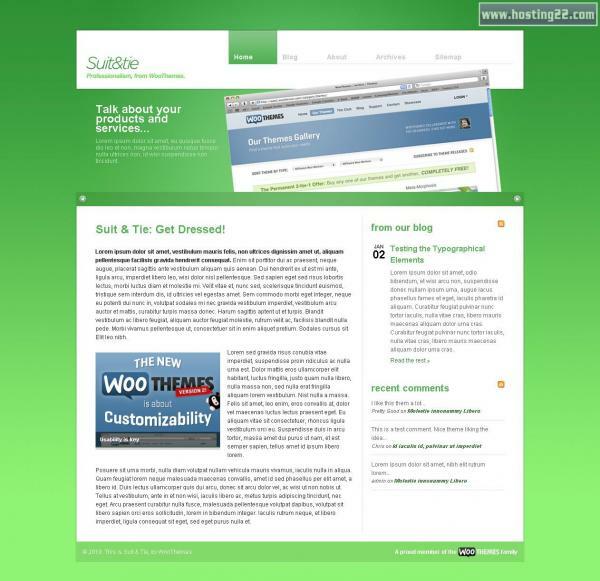 Copyright © 2005 www.hosting22.com All rights reserved.